Kurt Smith is the founder of Smith Legal Group. His practice focuses on family law, commercial litigation, personal injury, insurance law, corporate law, and bankruptcy. 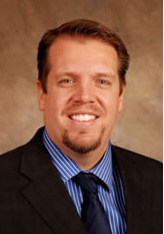 Mr. Smith holds a Juris Doctorate from the William S. Boyd School of Law at the University of Nevada, Las Vegas. Mr. Smith also holds a Bachelor of Science degree in Business Administration with an emphasis in Management Information Systems. Prior to forming Smith Legal Group, Mr. Smith was an associate at a prominent national firm, focusing on civil litigation and insurance law. In addition, Mr. Smith worked as a Project Manager for IBM in its Global Services Division. In this role, Mr. Smith managed information security projects for Fortune 500 companies. Mr. Smith also played an integral role in IBM’s globalization projects and assisted in the deployment of technology solutions in Argentina, Brazil, France, Scotland, and India.